No other industry than the vacuum industry deals with cleanliness in such an intense way. 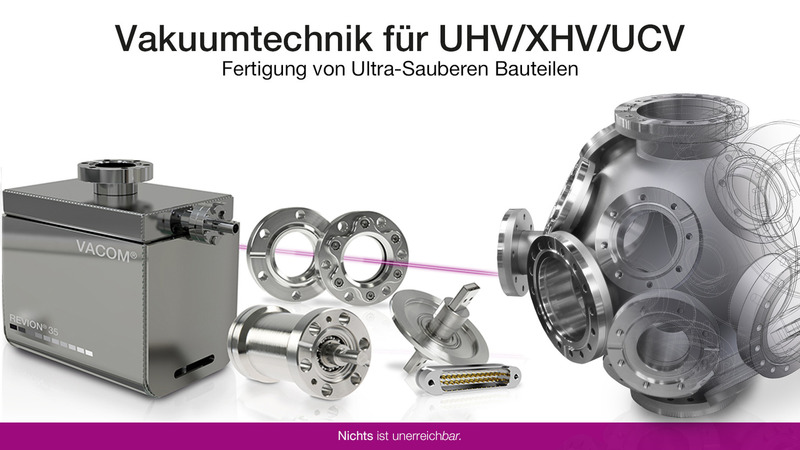 To ensure pressures down to XHV or realize EUV lithography ultra clean components are required. In addition to consulting we design and manufacture special and standard components made of stainless steel and aluminum. Our core areas of expertise are vacuum mechanics, vacuum measurement equipment, vacuum optics, electrical feedthroughs and ion getter pumps.